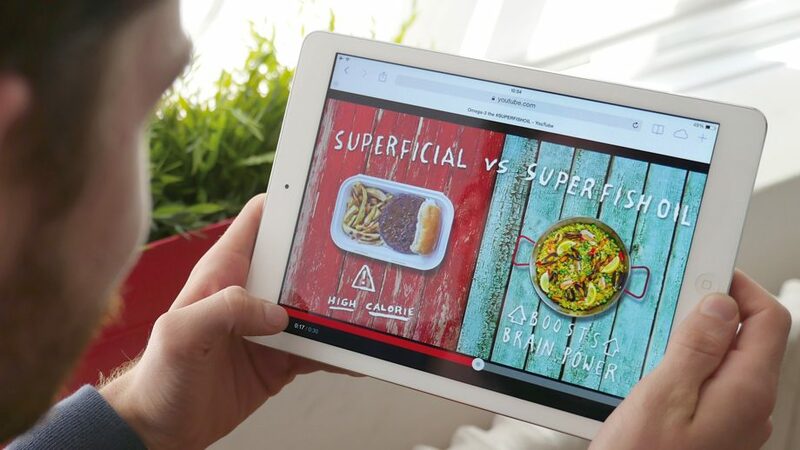 The UK Authority on Seafood, Seafish, has achieved record results with our 2015 integrated digital campaign. The wide-ranging results included a reach of over 121.1M consumers and an uplift of 12% in omega-3 health benefit awareness. “Superfishoil not superficial” was created to connect with target audiences of Seafish and contributed to a growth in unique website visitors by 290%, an increase in Facebook likes by 161% and an EAV of £298,305*, alongside a host of awareness increases including a 25% uplift in recommended weekly omega-3 intake. 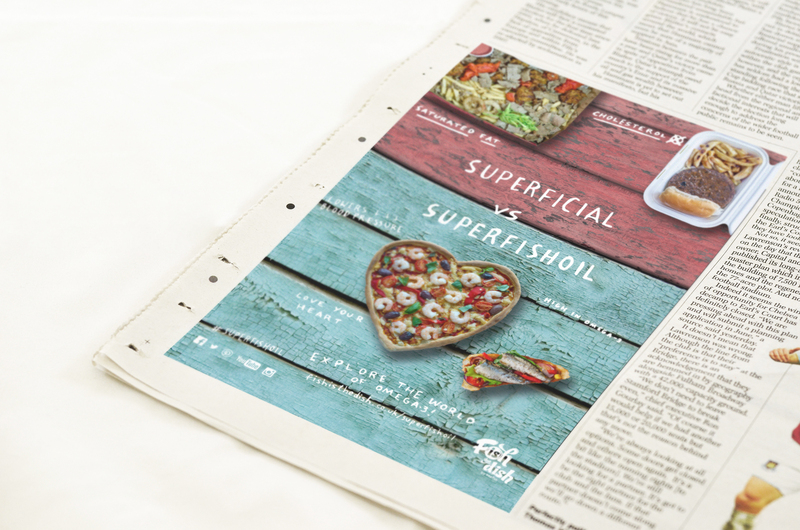 The latest campaign in the latest series of initiatives by Seafish’s consumer facing brand ‘Fish is the Dish’, which is dedicated to seeing more people eating more fish more often. Marketing Manager of Seafish, Heather Middleton, stated that the campaign has been one of their most successful to date. “Our campaign has definitely been the most effective in terms of reach and response. The simplicity of message meant that we could promote the benefits of omega-3 to multiple audiences across the UK.” Ms Middleton said. Following a rapid immersion into the UK seafood consumption habits, we realised that simple swaps rather than massive diet changes would be the most effective way of influencing behaviours amongst even the non-fish consumers. “Superfishoil not superficial” allowed for the direct comparison of unhealthy choices to the benefits of the omega-3 rich foods, such as swapping a cottage pie to a fish pie. Two approaches to the creative were adopted including a high impact approach for national print media and digital media, and a softer style for in-store experiences where people are in purchase states of mind. Seafish is dedicated to a sustainable future for the seafood industry and through Fish is the Dish is able to celebrate fish and other seafoods as a healthy, delicious and easy meal of choice. They have partnered with Underscore on multiple projects and the next big collaboration will be on the 2015 relaunch of National Seafood Week in October.